Dallas, Texas, June 15, 2009 – Global DataGuard®, the premier provider of network behavior analysis-based Enterprise Unified Threat Management for small and medium business to large enterprise environments today announced that Network Products Guide, the industry’s leading publication on information technologies and solutions, has named the Enterprise UTM++Ô security suite a winner of the 2009 Best Products and Services – Readers Trust Award for Unified Security. The Enterprise UTM++ is an end-to-end security system that unifies network security from the ground up. At its foundation is a fully integrated architecture that utilizes patented network behavior analysis as the enabling technology – so security applications can work together, sharing and correlating information across all application subsystems to provide a deeper, historical context to threats and attack reconnaissance. This unified, network behavior analysis-based approach enables the Enterprise UTM++ to adapt and customize itself to the unique requirements of any network over time. Further, it provides a learned intelligence capability that can predict behaviors and track developing threats more quickly, before they compromise network resources. The Enterprise UTM++ integrates a comprehensive suite of industrial-strength security applications that can be purchased as part of a complete security infrastructure or added incrementally, over time, as network requirements evolve. It’s also backed by 24/7 managed or co-managed services that can help any organization cost-effectively allocate internal resources and outsource network security requirements based on a company’s peak management requirements. 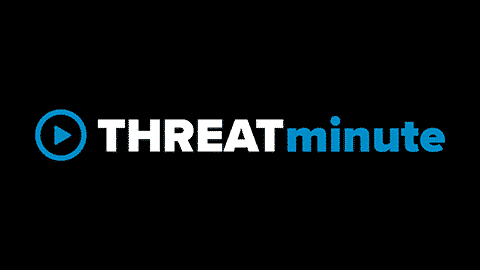 A customized UTM++ security suite, together with managed security services, is available through a 30-day free product and services evaluation to qualified organizations. Companies interested in this ‘no-cost’ trial offer can request additional information by contacting Global DataGuard at 972.980.1444, x226, or by completing a request for information on the Contact Us section of the Global DataGuard website. Network Products Guide is a media sponsor of Interop Las Vegas and New York and Technosium Executive Forums. As the industry’s leading technology research and advisory publication, it plays a vital role in keeping decision makers and end-users informed of the choices they can make in all areas of information technology. The guide follows conscientious research methodologies that have been developed and enhanced by industry experts. To learn more, visit www.networkproductsguide.com .